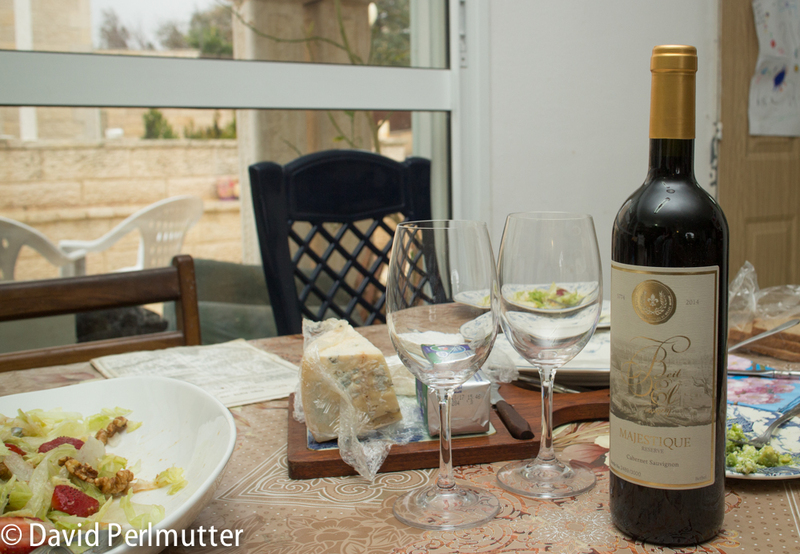 Recently I had the pleasure of visiting Beit El Winery again. I was hosted by Hillel and Nina Manne, winemaker and owners of this estate winery located a half hour north of Jerusalem. Just two weeks ago Jews throughout the world read the weekly Torah portion that describes Jacob’s dream and the ladder he saw extending to the heavens, with angels ascending and descending. When he woke up he said “Surely the Lord is in this place” and called the name of that place Beit El (Bethel meaning the house of God). 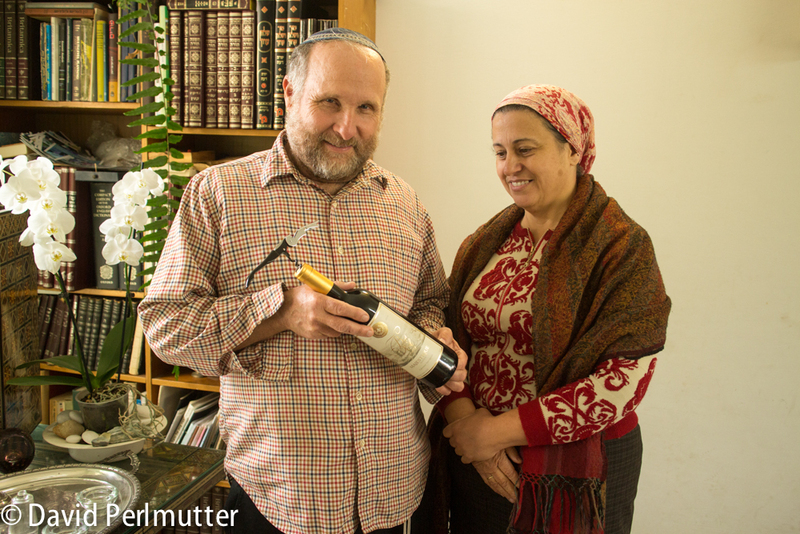 When Hillel and Nina moved to Beit El in 1996 they planted vineyards at an altitude of 850 meters above sea level. 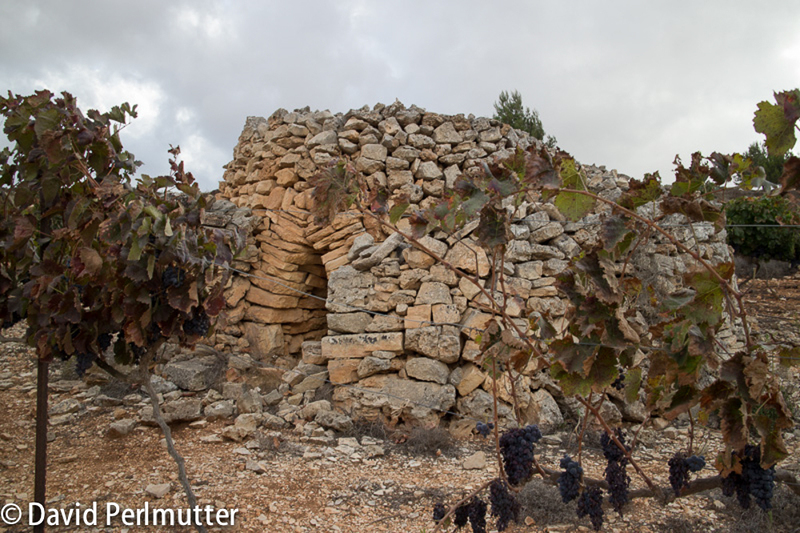 Here the landscape’s ancient terraces bring to life the Biblical Song of the Vineyard found in Isaiah 5:1-7 complete with ancient stone walls and ruined watch towers. Currently the Beit El’s wine production is about 17,000 bottles produced from Cabernet Sauvignon and Carignan varieties. The timing of my visit was opportune as Hillel has just released his first reserve wine, the Beit El Majestique Reserve 2014 made of 100% Cabernet Sauvignon grapes. 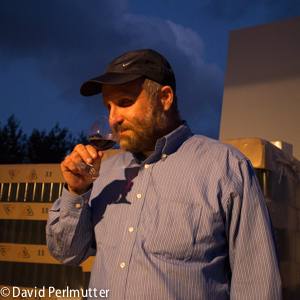 While for many wineries the “reserve” term is a general indication of quality, for Hillel his reserve wine is also his first wine to be aged in oak. The Majestique Reserve was aged for 20 months in new French oak barrels made by Gamba Cooperage. The wine was fermented with three weeks maeration in open vats resulting in a deep ruby color. The wine has aromas of plums, vanilla, chocolate and earth and opens in the mouth with black currents, plums, earth, spices and a hint of sage. The wine is very dry with less than 1 gram residual sugar.The tannins and acidity will allow this wine to develop with age, I’d love to store a case and open a bottle once a year for the next decade and compare notes with each successive tasting. The wine is unfiltered and has 15.4% alcohol.